Generally, you receive your lottery winnings either as a “lump-sum” or as an annual payment spread out over 20 to 30 years. Lottery players used to have to select between lump sum or long-term payments before paying for their ticket, but a law in 1998 changed it hence you can choose after you win. There are pros and cons to both choices, so consider each option carefully. 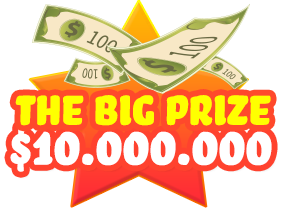 When you take a lump sum payout, you won’t receive the full jackpot amount. The advertised winning jackpot total is based on the lottery paying you through gain over 20 or 30 years and not all at once. Therefore, when you take the lump sum, they pay you the current cash value of the jackpot, which is much less than each annual payment added up. In fact, this reduced amount equals about half of whatever the winning jackpot amount was. But that doesn’t mean the lump sum payment short-changes you. There are other significant pros and cons as well. The money could be worth a lot more than the first payout if prudently invested. Normally, winnings are taxed at current tax rates, which could be higher in the future, and also elderly are guaranteed to get their entire winnings via the lump sum. No risk of strange future variables affecting your payout. You’re guaranteed to at least receive the lump sum. However, poor financial management of a lump sum payment, for example an overly aggressive investment portfolio or careless and fantastic spending, could leave you bankrupt. When you take the long-term payout, you receive the full amount of the jackpot over a period of 20 to 30 years.